The base of these homemade scrub recipes are either salt, sugar or oats. 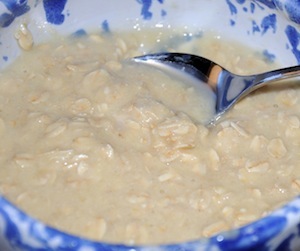 You can puree your oats to make a fine powder for a smoother consistency if you'd like. You can use either fine white sugar or brown sugar when it calls for sugar. These scrubs may be irritating to your face so try these recipes on hands, feet or as a body scrub at first. 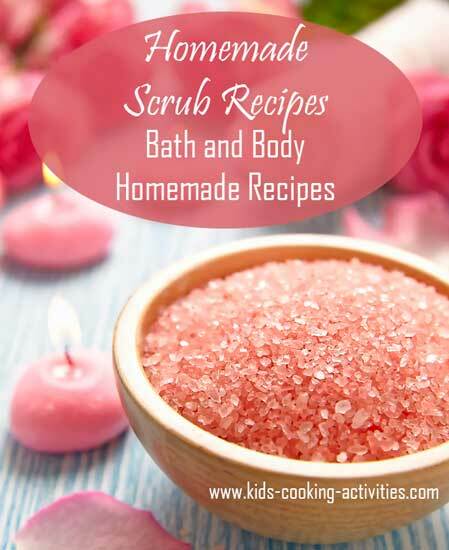 Buying store bought body scrub can be expensive but a package of salt or sugar to create these recipes will be super cheap! Add ingredients in small bowl. Blend together and use as a body scrub. Stir together in a small bowl. Mixture will be a thick paste. Use as a body or face scrub by gently rubbing into skin and rinsing with warm water. 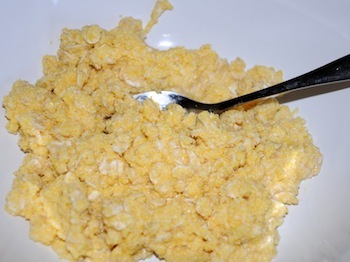 Add ingredients to a bowl and stir together. 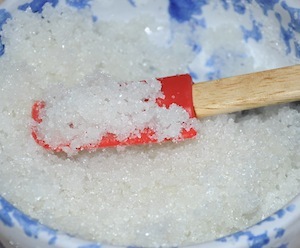 Use in the shower as a body scrub or foot scrub. Blend ingredients together in a bowl. Stir in 7 tablespoons water to make a thick paste. Gently rub into skin and rinse with warm water. This scrub works great on feet and body. Mix together in a small bowl. 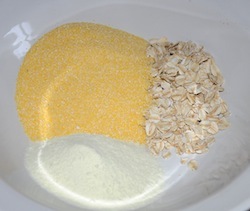 Mixture will be thick if you'd like to thin out add 1 teaspoon water. 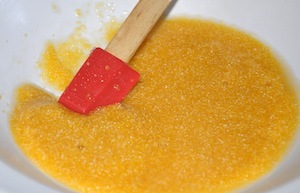 Use in the shower as a body scrub or face scrub. 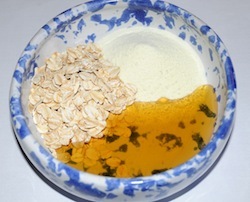 Mix ingredients together and use as a body scrub or face scrub. 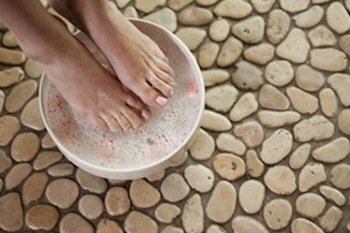 Try using any of these recipes to scrub your feet and then soaking in warm water 5-10 minutes. Towel dry and apply lotion to feet. Place a pair of socks or slippers on and leave for several hours to allow feet to soften.